A story mode where "super warriors fall one by one." 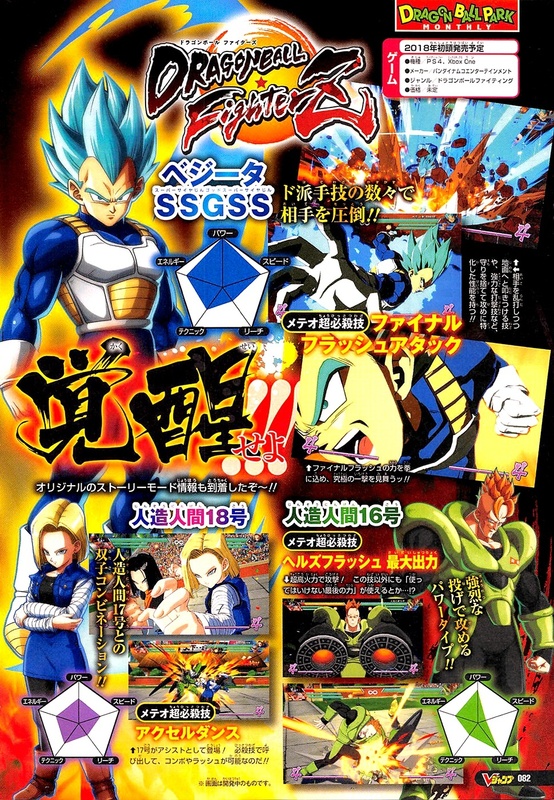 The latest issue of Weekly Jump reveals that both Super Saiyan Blue Goku and Super Saiyan Blue Vegeta are playable in Dragon Ball FighterZ, and the latest issue of V-Jump reveals that both Android 16 and Android 18 are also playable. 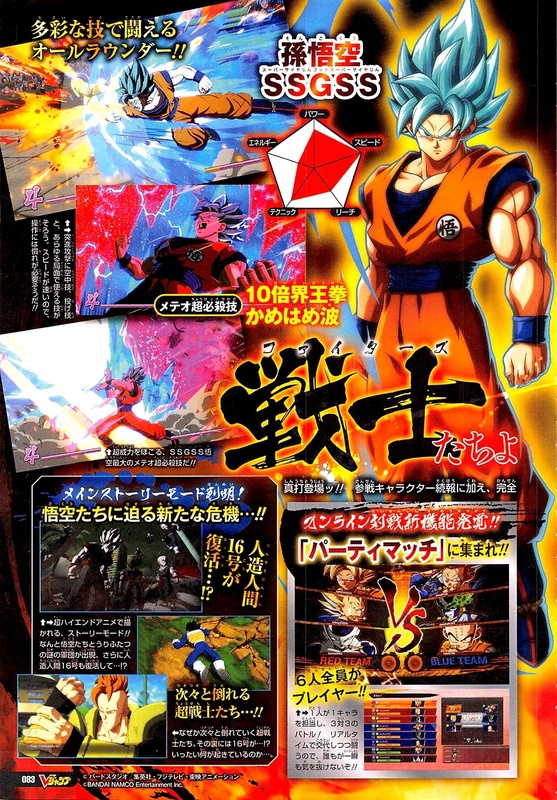 Super Saiyan Blue Goku can use “10x God Kamehameha.” Super Saiyan Blue Vegeta can use “Final Flash Attack.” Android 16 can use “Hell’s Flash” at its maximum output. Android 18 can use “Accel Dance,” which is a combination attack that summons Android 17. It is unknown if this is the only capacity in which Android 17 will appear. 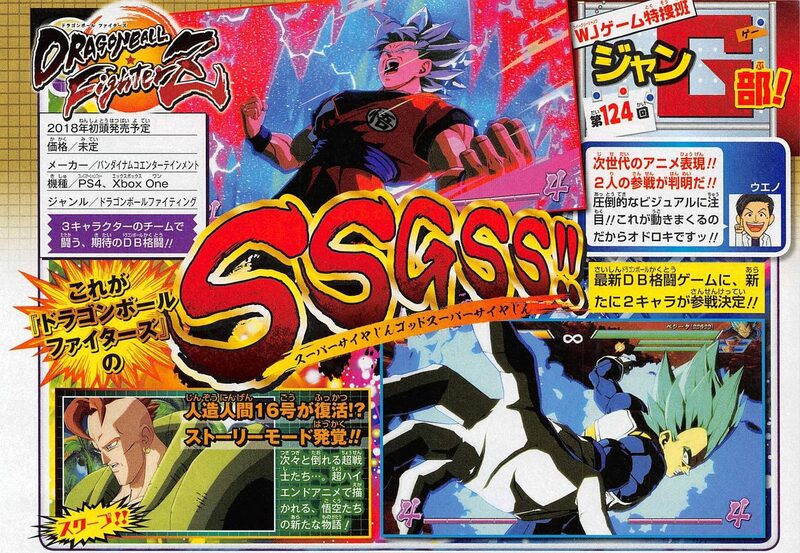 Previously announced playable characters include Goku, Vegeta, Gohan, Cell, Frieza, Majin Buu, Trunks, Krillin, and Piccolo. Dragon Ball FighterZ is due out for PlayStation 4, Xbox One, and PC in early 2018. A closed beta will run from September 16 to 18, with registration opening on August 22.